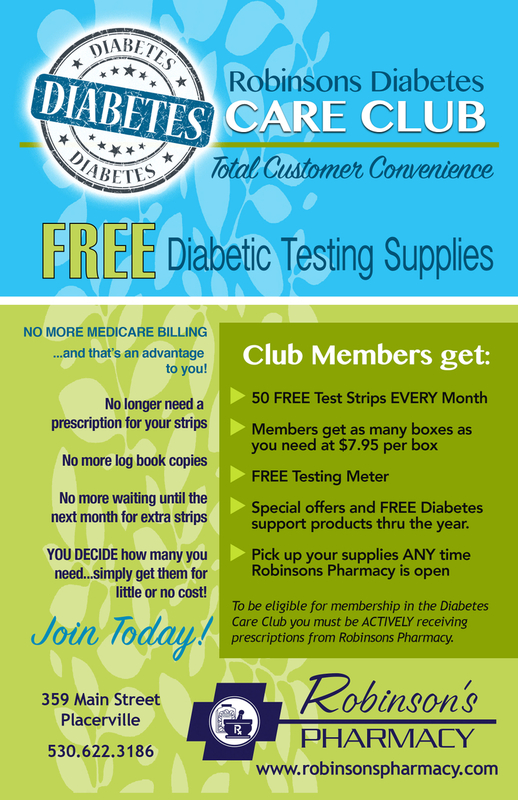 Robinsons Pharmacy offers special packaging for prescription medication, compounded medication and other types of medication that need to be taken regularly. 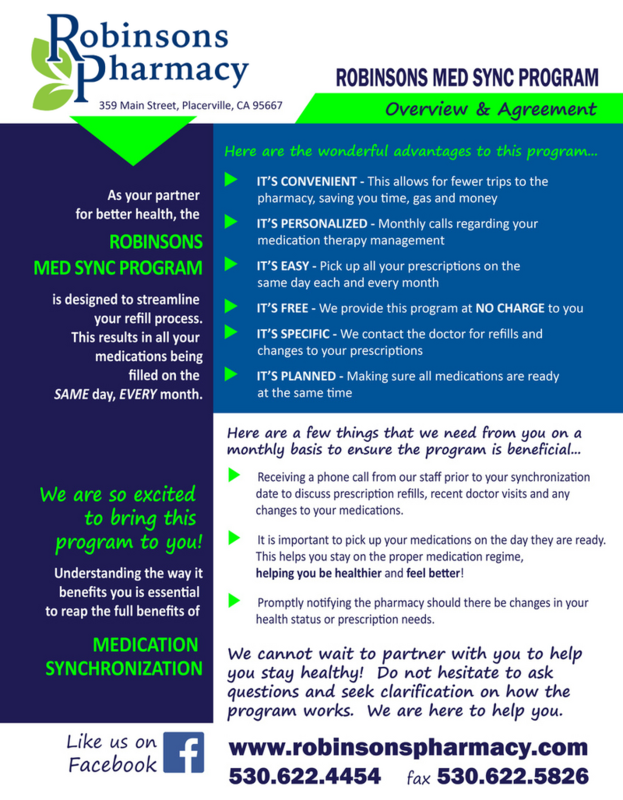 We customize your medication packaging to your specific needs and lifestyle. For more information call 530-622-3186.